The goal and purpose of the Institute for Parish Worship is to enliven the parish’s spiritual and liturgical life utilizing the Documents of the Second Vatican Council, the newly translated Roman Missal, the Seasons and Feasts of the Liturgical year bound together in the Word of God. 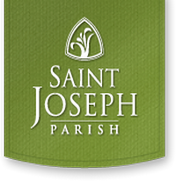 The Director of the Institute will “call to worship” by the recruitment, identification, and mentoring of parishioners among the membership who will assist or complement the total worship experience with the gift of talent and expertise in the fields required to implement the weekly worship of the Parish. The Institute will provide ongoing formation of the ministries and ministers with a strong belief that the assembled People of God are also ministers of the Liturgy. We invite each and every member of our community to participate fully in our worship. Furthermore, we invite each person to join in serving the community by ministering in one of the many roles we offer through the parish. For overview of the offerings, visit the Liturgical Ministries page. The Worship Committee provides liturgical formation and ministerial opportunities for parish members and liturgical service to the assembly. Membership consists of those who are already involved in some aspect of Ministry of Worship.